Nadia Nakai Exposes Pervert Who Sent Her Inappropriate Photos! Celebrities get some weird things in their DMs whilst most f them just ignore and move along, Nadia has had enough of perverts. 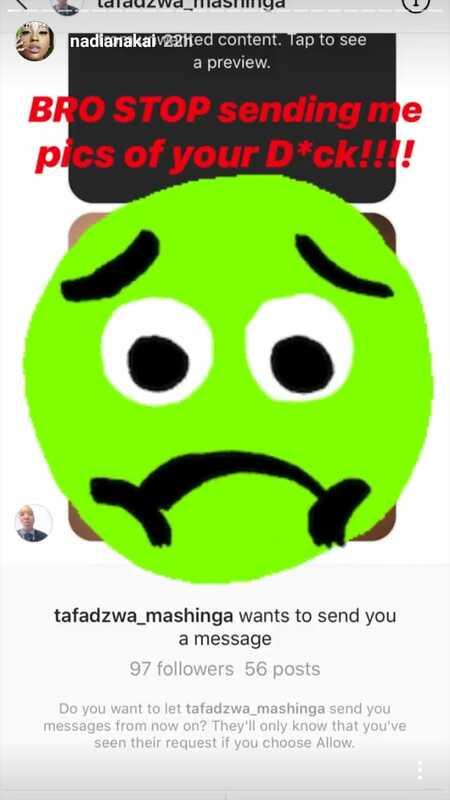 Nadia recently exposed a guy in her DMs who sent her d**k photos on Instagram. “Bro stop sending me pics of your d*ck,” Nadia wrote without covering the creepy guy’s name. Now everybody knows.